A fictionalized account of the Battle Of New Orleans, the final major encounter of the War Of 1812, The Buccaneer is a mix of piracy and politics, with a focus on pirate leader Jean Lafitte. The British have sacked Washington, and the strategic port of New Orleans is their next target. United States General Andrew Jackson (Charlton Heston) is dispatched to organize the defences of a disorganized city. Jackson finds little to work with, the local troops lacking training and supplies. Both the British and Americans recognize the strategic importance of a large swath of sea-side territory on the outskirts of the city, controlled by the charismatic pirate Jean Lafitte (Yul Brynner) and his well-armed, battle-hardened band of merry men including second-in-command Dominique You (Charles Boyer). Lafitte is allied with no one, and has problems of his own with insubordination from Captain Brown, one of his key lieutenants. Brown's scrappy daughter Bonnie (Claire Bloom) harbours a secret crush on Lafitte, but he is only interested in winning the heart of Annette Claiborne (Inger Stevens), the daughter of the New Orleans Governor. With the battle for New Orleans drawing ever closer, Lafitte has to decide which warring army he wants to align with. 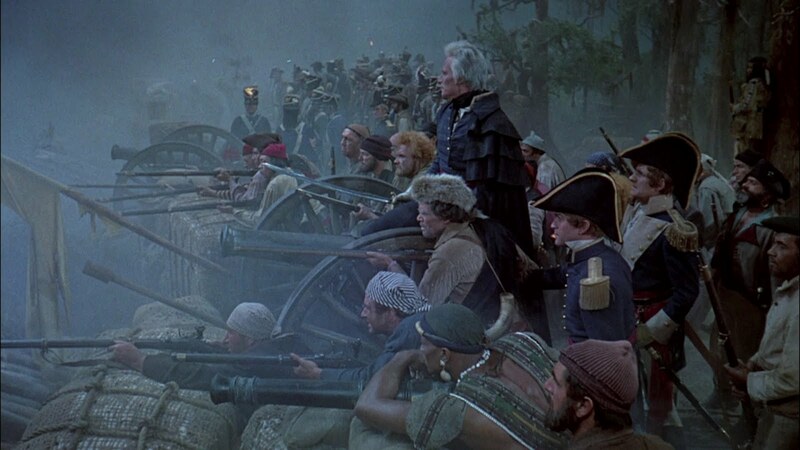 Overseen by Cecil B. DeMille, whose failing health prevented him from taking a more active role, The Buccaneer aims for an epic-like scope but is limited by the confines of indoor sets and artificial-looking backdrops. Even the brief scenes of naval combat are constrained by the walls of a rather small sound stage. The film has the look and feel of ambitious theatre exceeding available resources, rather than the relaxed breadth of grand location-based story telling. DeMille's son-in-law (at the time) Anthony Quinn took over directing duties, the first and only time that Quinn went behind the camera. His work here is best described as perfunctory, as apart from some good use of fog, there is little visual flair to speak of. 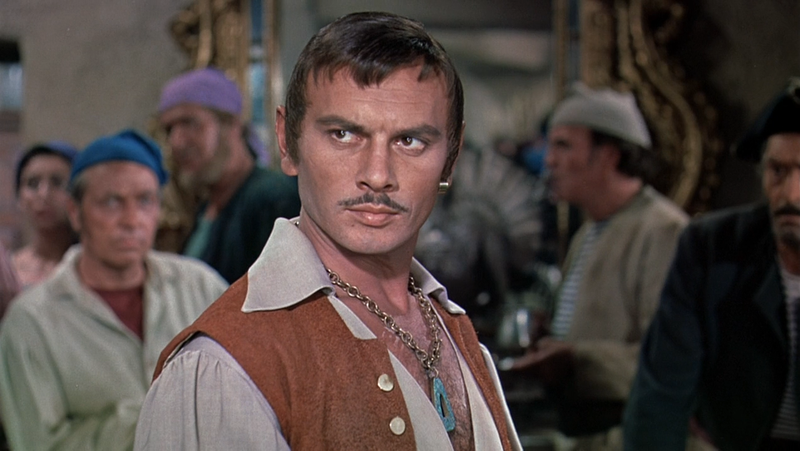 But despite reaching for and missing the requisite grandeur, The Buccaneer is still a boisterous adventure, mostly thanks to the charismatic Yul Brynner as Jean Lafitte. Brynner exudes the relaxed confidence of a man comfortable in his own skin, sure of his leadership capabilities and sharply focused on getting what he wants. 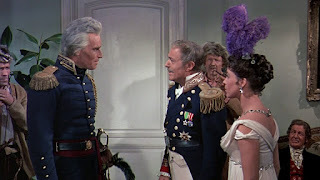 In a rather small role Charlton Heston adds his hefty, serious presence as Andrew Jackson, and together Brynner and Heston provide The Buccaneer with formidable star power. In support, Charles Boyer thrives in the well-written role of Dominique You, purportedly a former soldier in Napoleon's army, his pockets filled with dubious medals, his soul darkened by disappointment to the point where a life of piracy appears to be a genuinely fun, and alcohol-drenched, opportunity to dispense jaundiced wisdom. Of course historical accuracy is sacrificed for the sake of enhanced drama. Nevertheless, The Buccaneer sets a brisk sail in its final 45 minutes and enjoys two back to back peaks: the Battle Of New Orleans itself is recreated, with Lafitte's pirates playing a prominent role in a literal fog of war, and then a lavish celebration of unexpected victory turns dour when the past catches up with the present. Even a buccaneer, it seems, can't escape the winds of reputation.